Do you want to start Go-karting but aren’t ready to sign up for the ultra-competitive Go-karting classes? Perhaps you’ve got no interest in taking the sport up professionally? Maybe you just want to have a go without committing yourself (and spending a fortune!)? This is where custom Go-karting events can come into play. They are a great way to get involved in Go-karting. 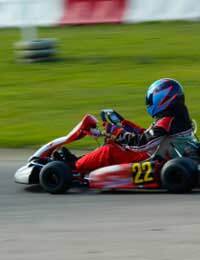 Custom Go-karting events can take pretty much any form, and they’re a fun way to introduce other people to Go-karting, as well as yourself. Whatever the occasion, most companies can tailor a custom event to suit your needs. Stag and Hen nights in the pub, and out on the tiles, are being increasingly sidelined in favour of Go-karting events. They can be a fantastic start to your evening, and gives the Stag and Hen parties the chance to interact before heading off on their respective Stag and Hen evenings. Often, the Stags face off against the Hens to see who comes out on top, and there is a fully licensed bar at all of the venues that offer this custom event. Alternatively, you can book separate Stag and Hen events. Stag and Hen nights are not the only custom Go-karting events you can take part in, but they are one of the most popular. Other options include incorporating activities such as paintballing into your day to increase the fun factor even more. If the activities on offer at your local circuit don’t interest you, why not contact them and suggest an alternative activity? The whole idea behind custom events is to create a fun and unique experience that customers will enjoy. If you fancy having a go at Go-karting on a one-off basis whilst having a lot of fun into the bargain, custom Go-karting events are for you! There’s a lot less pressure involved, especially in comparison with the various karting classes (almost all of the entrants in karting classes are looking to become a professional racing driver), so why not grab some like-minded friends and see what’s on offer at your nearest circuit? You might be surprised at just how exciting Go-karting can be!